Vivo NEX, NEX A and NEX S Officially Unveiled in China - Playfuldroid! Yesterday through an unveiled event in China, Vivo announced the arrival of the highly anticipated. 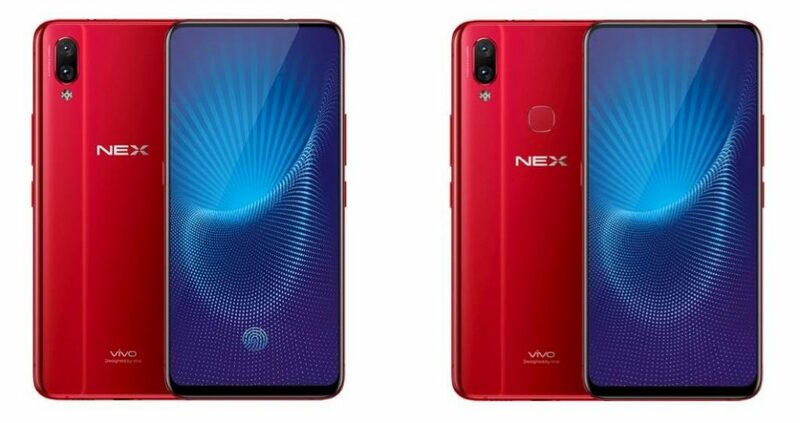 The variants of the phone were referred to as Vivo NEX, NEX Ultimate 128 GB and NEX Ultimate 256 GB. Outside of China, these phones will be respectively known as Vivo NEX A, Vivo NEX and NEX S.
The Vivo NEX A has Snapdragon 710, 6 GB of RAM, 128 GB of storage. The Vivo NEX and NEX S respectively feature 128 GB and 256 GB of native storage and both are packed with SD845 and 8 GB of RAM. The NEX A lacks an in-display fingerprint scanner which can be found on other models. The Vivo NEX variants feature 6.59-inch Super AMOLED display that does not feature a notch. Vivo has dubbed the display of the phone as Ultra FullView display. It delivers a screen-to-body ratio of 91.24 percent and carries support for DCI-P3 color gamut. The Vivo NEX models have an 8-megapixel selfie camera that hides in the top edge of the phone. It can be brought by accessing it through the camera app. The dual camera setup that comprises of a 12-megapixel Sony IMX363 primary sensor and 5-meagpixel secondary sensor is present on the backside of the NEX smartphones. These phones are loaded with Android 8.1 Oreo that is skinned with Energy UI. It receives power from 4,000mAh battery. The NEX phones also feature Jovi assistant. Vivo NEX A, NEX and NEX S are now available on pre-orders in China. The shipments of these phones will begin on June 15. They are respectively priced 3,898 Yuan ($609), 4,498 Yuan ($702) and 4,998 Yuan ($781). The NEX smartphones can be bought in Diamond Black and Ruby Red colors.